O-108 (Prime) R3 is below, O-108a R3 at bottom. I would call the 108a the scarcer die state that may be an R4 or rarer. 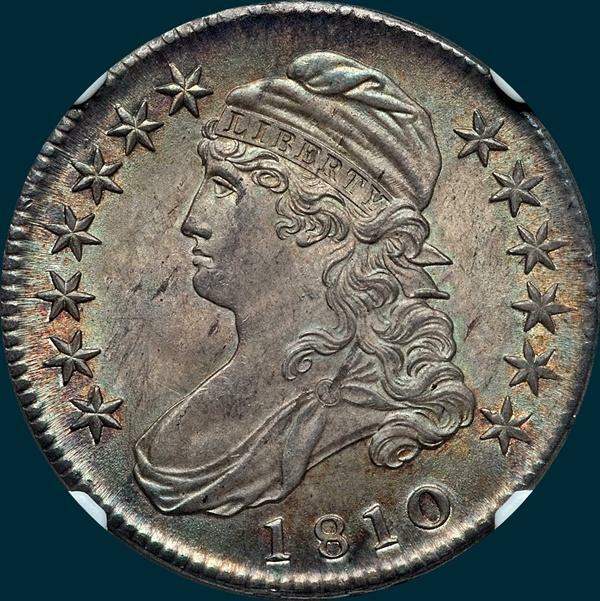 There are a handful of spectacular MS coins out there with a couple 66's leading the pack. Generally tough in grades above XF. 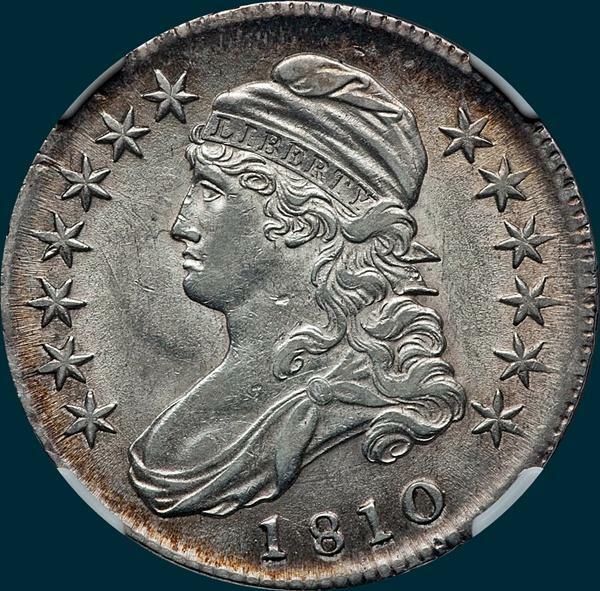 Variety Attribution O-108: Obverse- Stars large, well formed and clear of milling. Star 1 is 1 mm. from Drapery. Date is 9 3/4 mm. with small figures slanting left. A fine die crack from milling into drapery left of first one. Mouth open. Again on this variety, the peculier flattened rim spots have been observed on some specimens. 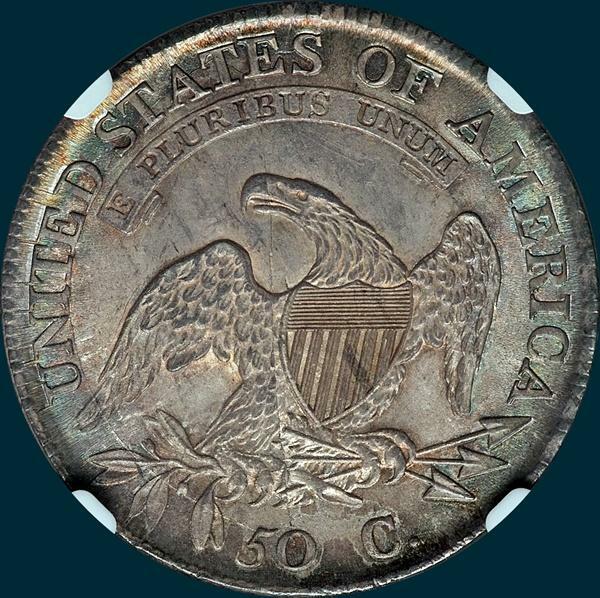 O-108 Reverse-50. C. is 2 1/2 mm. and well centered. Arrowheads separated. Arrow to A is 3/4 mm. I is centered under the right side of T. All observed specimens show severe cracks. 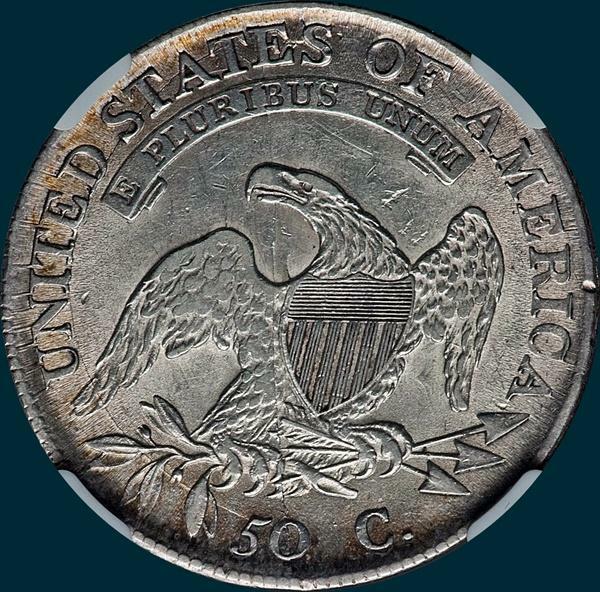 One spans reverse from 0 in 50 across eagle and scroll though E in STATES to edge. Another circles left from same 0, across leaves and wing to join UNITED at base and up through STAT to join FIRST at edge. Another irregular crack between ES in STATES. O-108a: Additional die crack from OF through A and below base of AMERICA.